At 11:40 pm on the 11th day of the 11th month, 2018 RUBY BRISSON, at the age of 93, drew her final breath on this mortal earth. This grand matriarch was a veteran of WW 2, deeply beloved great-grandmother (soon to be great-great grandmother), grandmother, mother, sibling, friend and highly respected member of the Church of Jesus Christ of Latter-day Saints (Mormon). She was a pillar to those most in need and the mainstay of the extensive Brisson clan. Most of all she will be missed for her energy, wit, youthfulness, and positive attitude about life spent on earth. She has met her Lord and has rejoined her loved ones who passed before her including Marven (husband), Danny and Guy (two of her sons), Cecil Reid (her brother), two sons-in-law, Bruce Borton and Tom Turner, as well as her parents Alan and Margaret Reid. She is survived by her sisters Berniece Costanzo and Dianne Bigras, and her children, Linda Borton-Andersen (Leo), Irene Turner, Kent Brisson (Debbie), Judy Cameron (Scotty), Rodney Brisson(Suzie), Barry Brisson (Debbie) and Saralyn Semeniuk (Guy’s widow). Also survived by 18 grandchildren, 6 cherished grandchildren “outlaws” and 19 great-grandchildren. The Funeral Service will be held at the Temple Street Chapel in Cardston, Alberta on Thursday, November 15 at 11 am. Friends may meet the family at the Church from 10:00 to 10:45 a.m. prior to the Service. 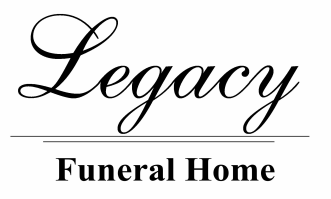 Cremation will follow and burial will take place in Oxdrift , Ontario at a later date, where she will rest beside her loving husband. Ruby was passionate about helping those with addictions, so if friends desire donations may be made through Legacy Funeral Services to any addiction service. Condolences may be sent by CLICKING HERE.